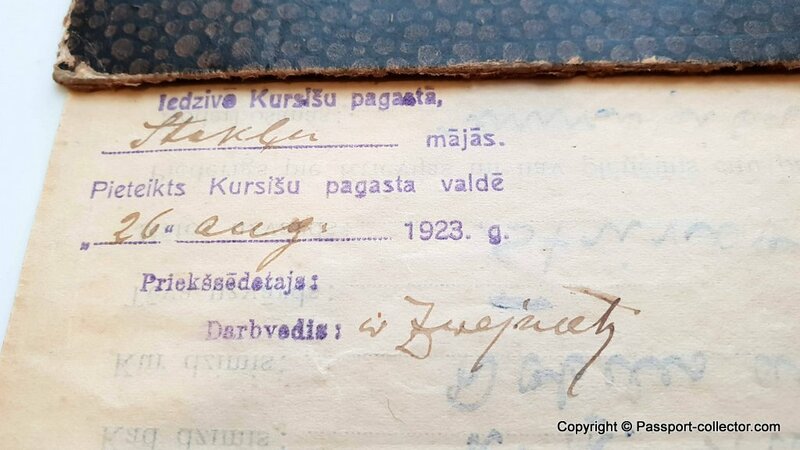 This NANSEN passport was issued to 20 years old Latvian man in 1923, which could not write as his signature on the passport are just three crosses! Unfolded, the document measures approx. 32 x 32 cm and is in very good condition. However, there is some taping on the cover spine. 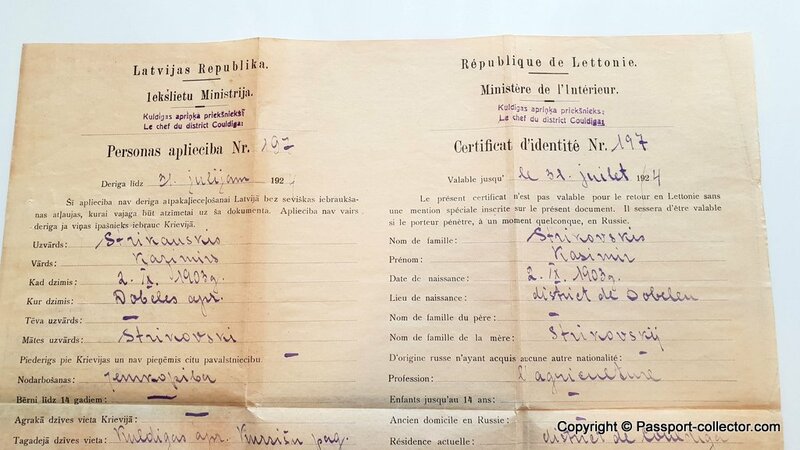 The language on the document is Latvian and French. 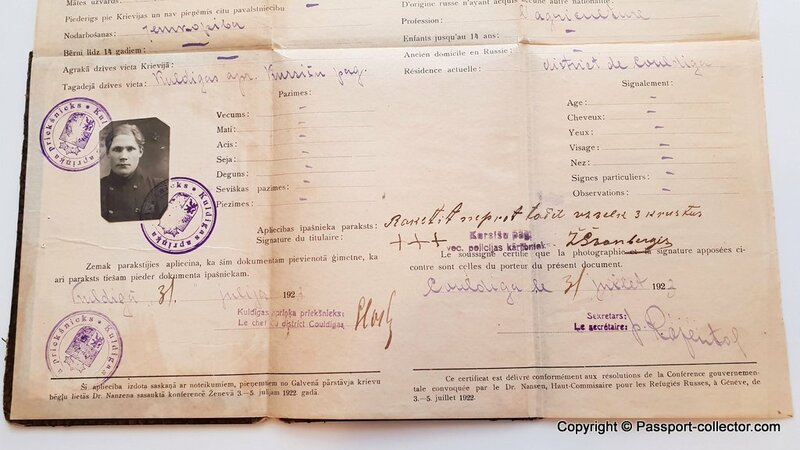 At the lower margin, you see the Dr.Nansen High Commission for Refugees text. Kuldiga is a small town in western Latvia. 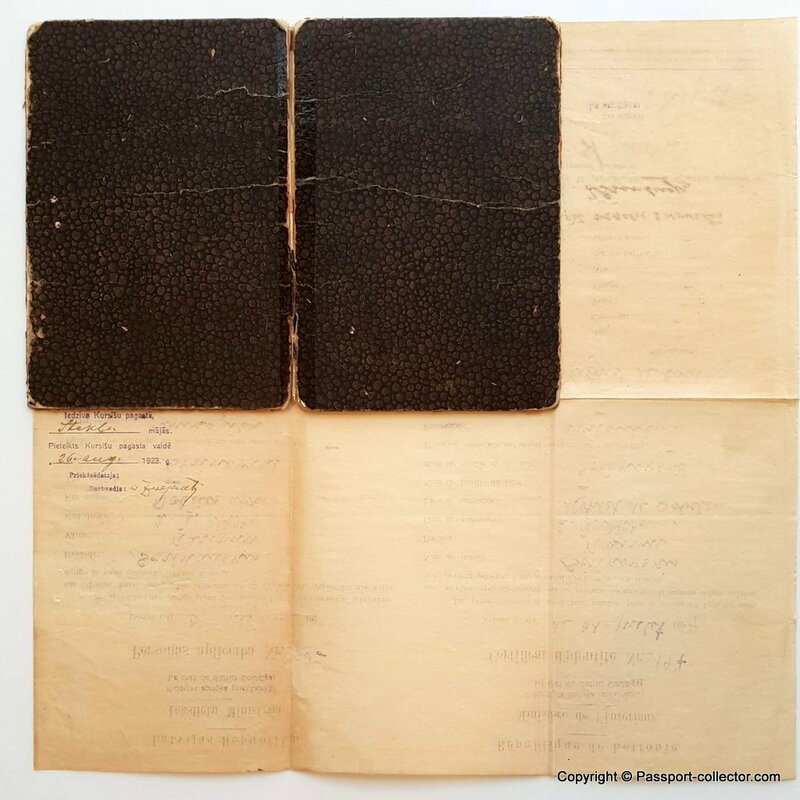 Such Nansen passport types issued to stateless persons are nowadays hard to find, especially the late 1940s Nansen passport booklets. 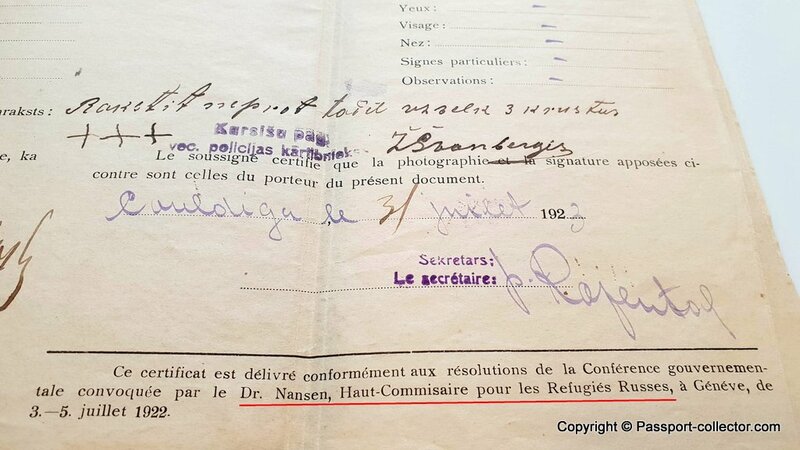 Dr.Nansen was the League’s High Commissioner for Refugees. In 1922 he was awarded the Nobel Peace Prize for his work on behalf of the displaced victims of the First World War and related conflicts. 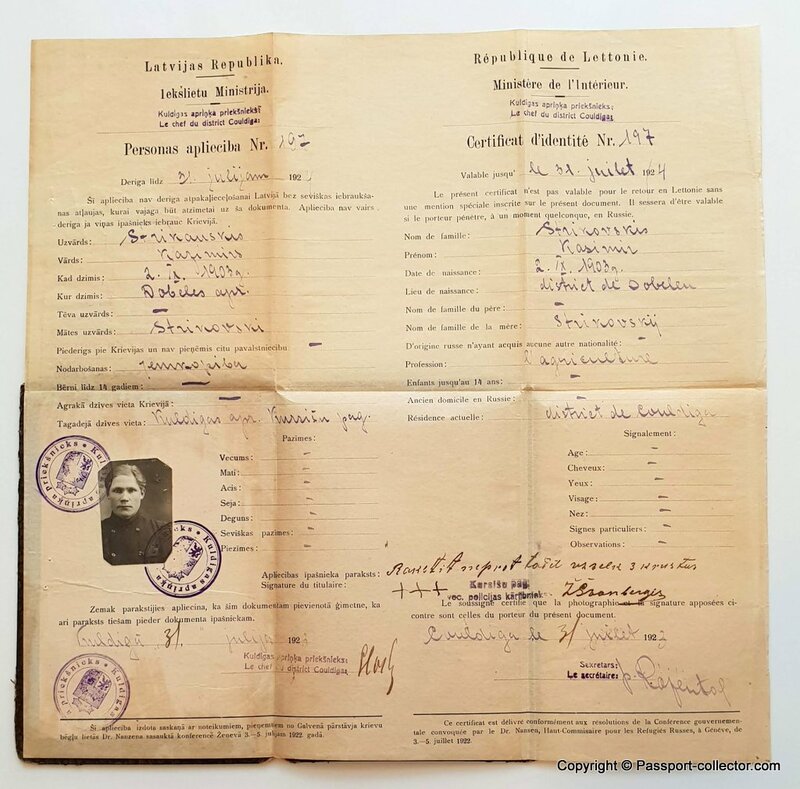 Among the initiatives he introduced was the “Nansen passport” for stateless persons, a certificate that used to be recognized by more than 50 countries.